Metcalfa pruinosa (Citrus Flatid Planthopper). Size: approx. 5 mm. Photo: 06/28/14, 5 pm. 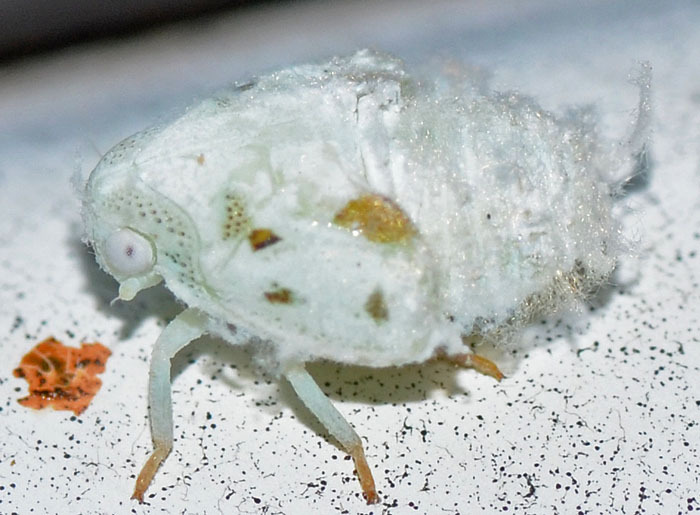 Citrus flatid planthopper (Metcalfa pruinosa) a.k.a. floury mothbug. 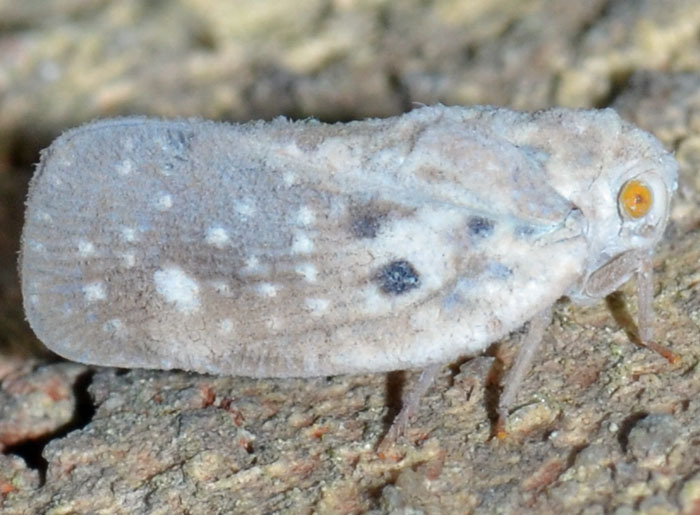 Despite the name, this bug enjoys a very wide range of host plants and rarely causes damage to crops. I found this one on our house wall. Metcalfa pruinosa (Citrus Flatid Planthopper) - imm. 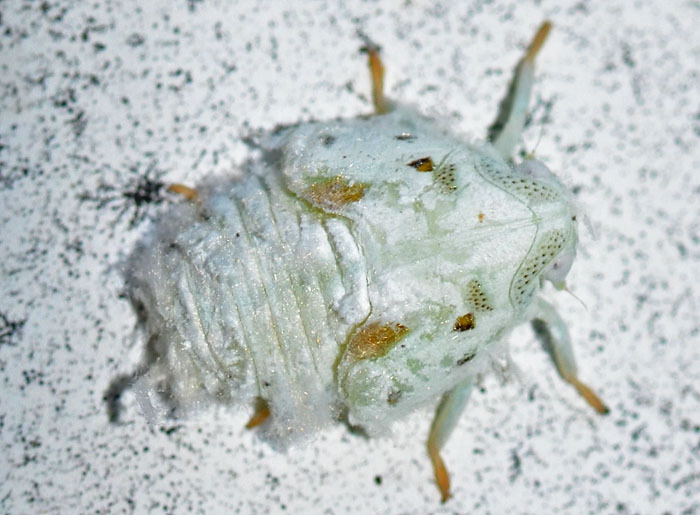 And here is a nymph of the Citrus Flatid Planthopper. Nymphs are mainly white with tail ends covered with waxy filaments that break of easily. I found this one on my wife's dirty white car. After allowing me to take a few photos, it (the nymph not the car) suddenly jumped away.